New Delhi: The Prime Minister is not likely to respond to political opponents who allege that he is too pre-occupied with campaigning for state elections and should instead be focusing more on the escalating tension with Pakistan. 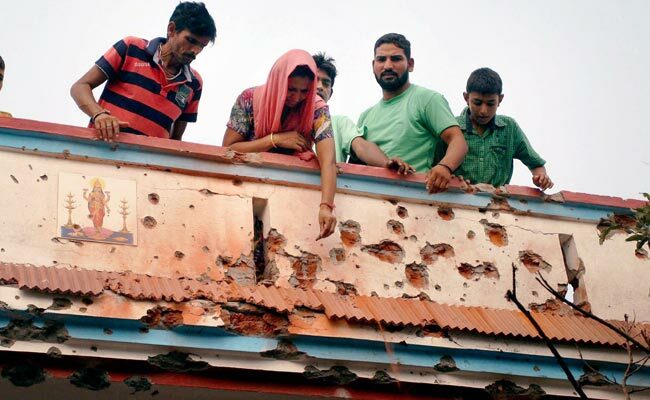 This week has seen the maximum civilian casualties in Kashmir since India and Pakistan agreed to a ceasefire in 2003. India said the shelling by Pakistan has been intense and has occurred along the internationally-recognised border as well as the Line of Control or LoC. India believes Pakistan's attacks are trying to distract from its internal politics, which have been highly volatile in recent months. Officials believe that Pakistan wants to use the violence to help nearly 700 militants infiltrate Kashmir from across the border. Government sources who did not want to be named said that Pakistan is trying to "test the PM's resolve" especially after India cancelled talks with Pakistan that were scheduled in August because Islamabad insisted on consulting with Kashmiri separatists ahead of the session. They say Pakistan is also unnerved by the PM's recent talks with the Chinese President Xi Jinping and US President Barack Obama who stressed that India is of huge strategic importance to their countries. When the Prime Minister won the national election in May, he surprised many by inviting South Asian leaders including Pakistani premier Nawaz Sharif to his swearing-in ceremony. But relations have soured considerably since then.